On the occasion of the 80th anniversary of the Solomon R. Guggenheim Foundation, the institution will display in the rotunda over 170 modern works from the permanent collections held in New York and Venice. Visionaries: Creating a Modern Guggenheim will explore not only avant-garde innovations from the late 19th through mid-20th centuries, but also the radical activities of six patrons who brought to light some of the most significant artists of their day. 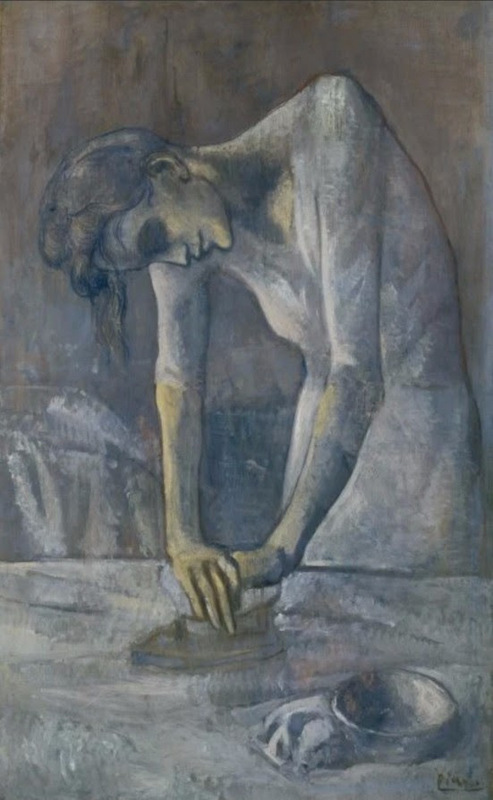 Foremost is the museum’s founder, Solomon R. Guggenheim (1861–1949), who with support from his trusted advisor, the German-born artist Hilla Rebay (1890–1967), set aside a more traditional collecting focus to become a great champion of nonobjective art. 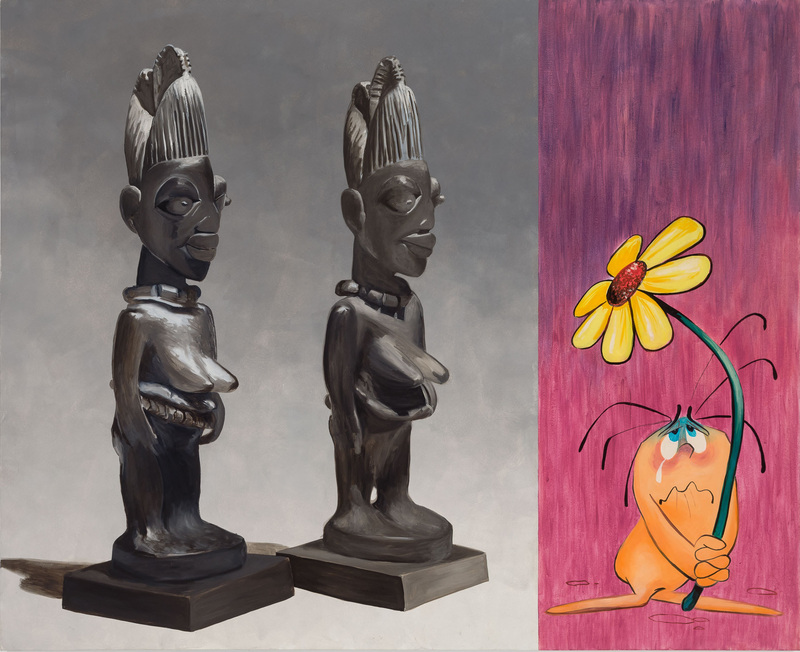 Visionaries will feature works by iconic artists such as Alexander Calder, Paul Cézanne, Marc Chagall, Kandinsky, Paul Klee, Piet Mondrian, Pablo Picasso, Jackson Pollock, and Vincent van Gogh, in addition to treasures by artists less well known today. The six patrons and over 70 artists who comprise Visionaries helped to establish the Guggenheim Foundation’s identity as a forward-looking institution. This is the first major retrospective in the United States of works by Italian painter, sculptor, and installation artist Marisa Merz, the sole female protagonist of the Arte Povera movement. Encompassing five decades of work – from her early experiments with nontraditional art materials to mid-career installations that balance intimacy with impressive scale to the enigmatic portrait heads she created after 1975 – this exhibition explores Merz’s prodigious talent and influence. Merz gained international prominence as part of the circle of artists associated with Arte Povera in the 1960s. An avant-garde movement that rejected Italy’s postwar material wealth in favor of “poor” materials, Arte Povera sought to negate existing codes and art world limitations. Merz’s challenging and evocative body of work was deeply personal and was as much a response to her own experience as it was to the art of her contemporaries. This exhibition presents a focused look at painting from the 1980s with works drawn entirely from the Museum’s collection. In the 1980s, painting recaptured the imagination of the contemporary art world against a backdrop of expansive change. This exhibition includes work by artists often identified with this explosive period—Jean-Michel Basquiat, Sherrie Levine, David Salle, and Julian Schnabel—as well as by several lesser-known painters. These artists explored the traditions of figuration and history painting, and offered new interpretations of abstraction. Many addressed fundamental questions about artmaking in their work, while others took on political issues including AIDS, feminism, gentrification, and war. 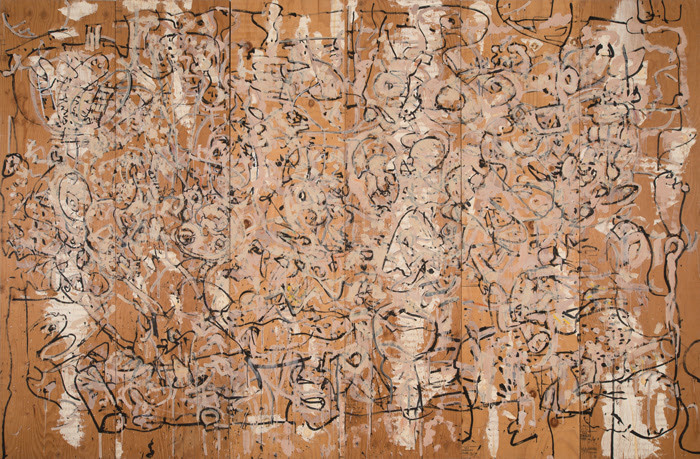 In the face of a media-saturated environment, artists in the 1980s recommitted to painting. Far from dead, painting came to represent an important intersection between new ways of seeing and a seemingly traditional way of making art. Francis Picabia: Our Heads Are Round so Our Thoughts Can Change Direction is a comprehensive survey of Picabia’s audacious, irreverent, and profoundly influential work across mediums. This is the first exhibition in the United States to chart his entire career, featuring over 200 works including some 125 paintings, key works on paper, periodicals and printed matter, illustrated letters, and one film. 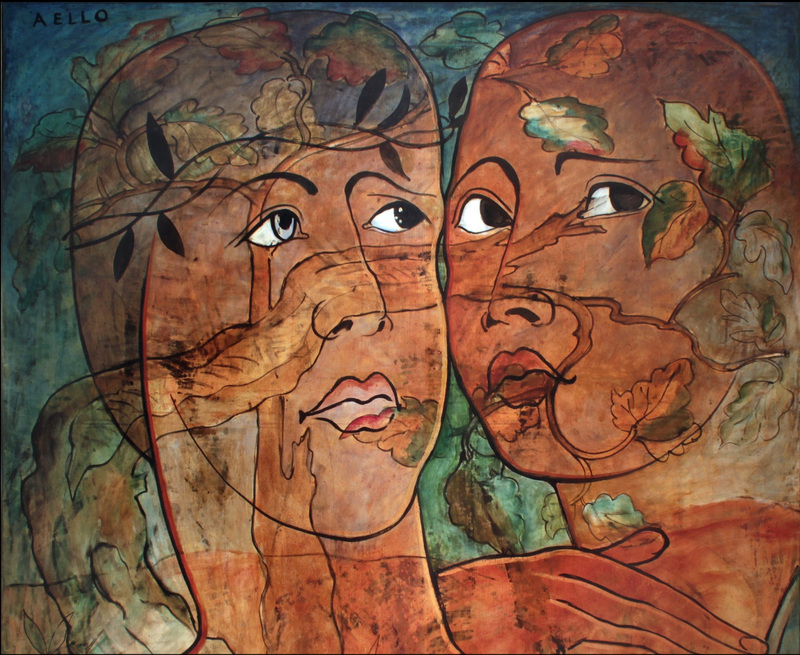 Among the great modern artists of the past century, Francis Picabia also remains one of the most elusive. Though he is best known as one of the leaders of the Dada movement, his career ranged widely—and wildly—from Impressionism to radical abstraction, from Dadaist provocation to pseudo-classicism, and from photo-based realism to art informel. Picabia’s consistent inconsistencies, his appropriative strategies, and his stylistic eclecticism, along with his skeptical attitude, make him especially relevant for contemporary artists. 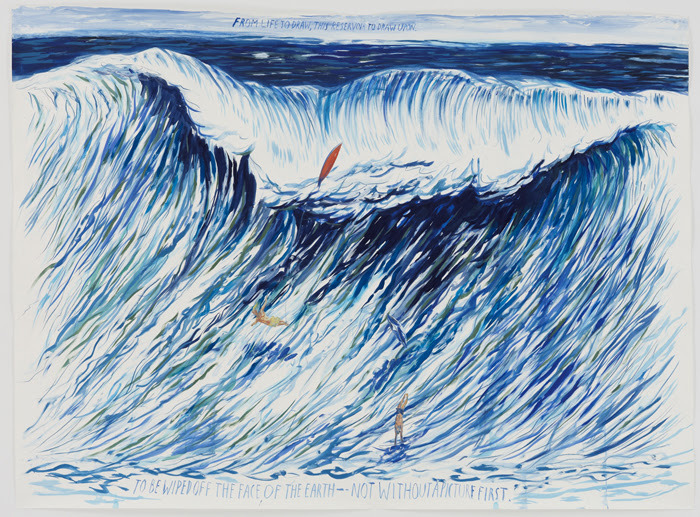 This major exhibition at the New Museum will focus on the work of Raymond Pettibon. For over thirty years, Pettibon has been chronicling the history, mythology, and culture of America with a prodigious and distinctive voice. Through his drawings’ signature interplay between image and text, he moves between historical reflection, emotional longing, poetic wit, and strident critique. Since the late 1960s, he has produced thousands of drawings and energetic installations that have been executed in museums and galleries around the world. These works poignantly evoke the country’s shifting values across time, from the idealistic postwar period in which he was born to the collapse of the American counterculture in the ’70s and ’80s to the painful military and social conflicts of the present. Whether his work is addressing surfing, baseball, war, or family, or channeling the voices of John Ruskin, Henry James, or Allen Ginsberg, it manages to suggest both personal and universal perspectives on our shared cultural experience. Louise Bourgeois: Holograms is the first exhibition devoted exclusively to this little-known aspect of the artist’s long, groundbreaking career. In 1998 Bourgeois was approached by C-Project, a New York-based fine arts holographic studio dedicated to exploring the creative potential of three-dimensional photographs through the talents of top-flight artists. 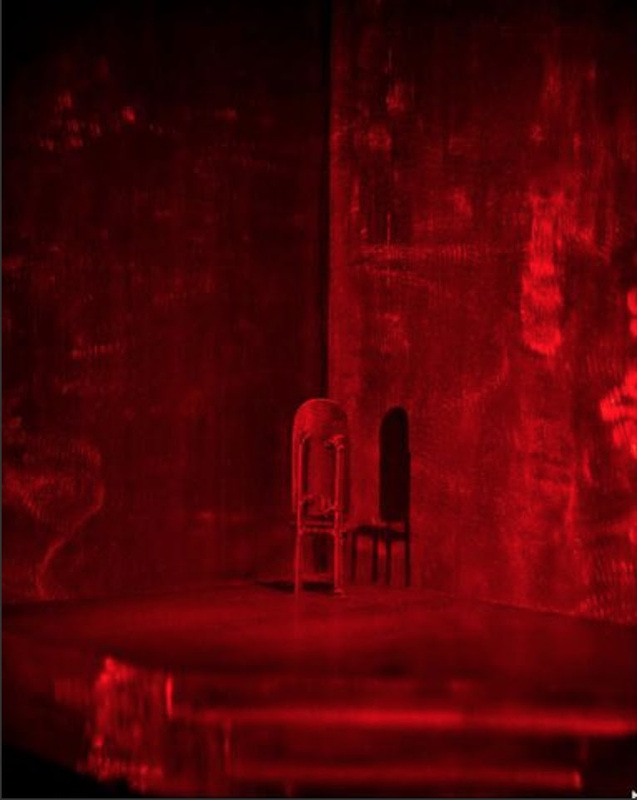 The dream imagery conjured by Bourgeois for this new art form is in keeping with the probing psychodynamics of her widely admired sculptures, drawings, and prints, but the intimate confines of the hologram seem to have tapped into a particular strain of theatrical freedom. Within these self-contained universes, each measuring approximately 11 x 14 inches, she pieced together a cast of motley, emotionally resonate entities – miniature chairs, a bell jar, a pair of lovers – that combine the incipient dread and satirical playfulness that marks much of her work. In this exhibition of new paintings and works on paper, Kushner extends the boundaries of his compositions, infusing his iconic, organic imagery with vibrant color and increased geometric precision in a lyrical synthesis of styles and techniques. 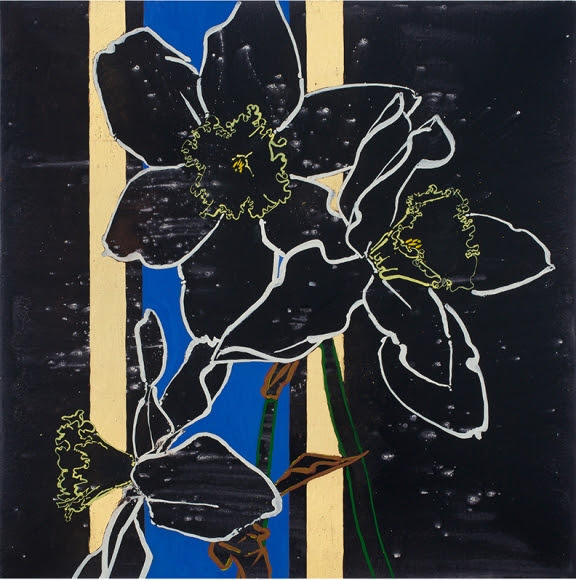 Underscoring the evocative title of the catalogue’s essay, “Do REAL Men Paint Flowers?”, the exhibition seeks to disrupt the narrative surrounding the decorative while exploring the importance of beauty in contemporary art. Attia is recognized for his rigorous research-based practice. In this exhibition he examines the complexities of the human condition and the varying psychiatric practices that have developed throughout Europe and Africa. This work provides crucial insight into the effect of colonialism and the forcible merging of disparate cultures. It is particularly relevant when considering the current crisis of refugees who experience psychological trauma as they assimilate into European societies. 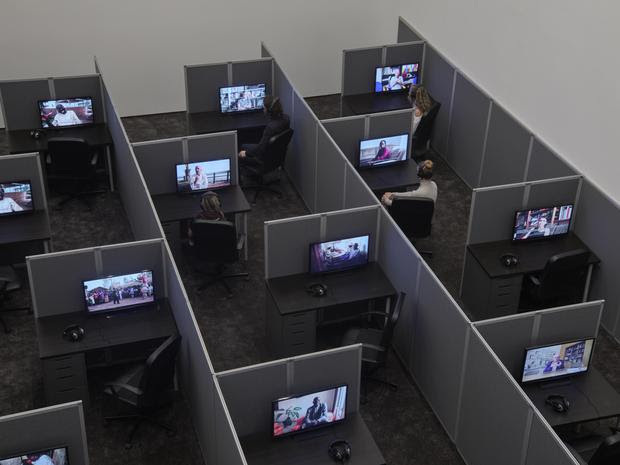 The sterile, office-like environment of the installation alludes to the dehumanization that is the result of this type of assimilation. Attia strongly believes it is necessary to openly address and make visible these internalized wounds in order for humanity to truly progress and evolve. This exhibition features Tara Donovan’s newest series, Compositions (Cards). This new body of work is comprised of wall-mounted framed works in various sizes that explore stratification as both a sculptural technique and a means to construct a two-dimensional picture plane. For the last 20 years, Tara Donovan has used simple, mass produced materials and objects to explore the transformative effects of accumulation and aggregation. Committed to process, she has earned acclaim for her ability to discover the inherent physical characteristics of an object and transform it into art. 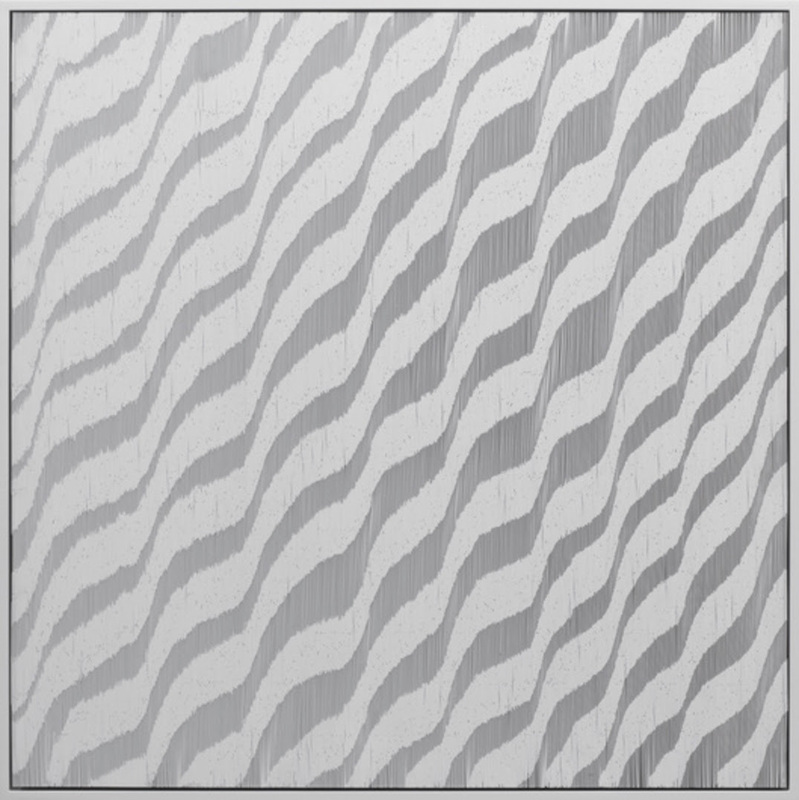 In this new series, Donovan creates patterns that reference textiles, landscape and oscillating waves by working within the constraints of square and rectangular frames. 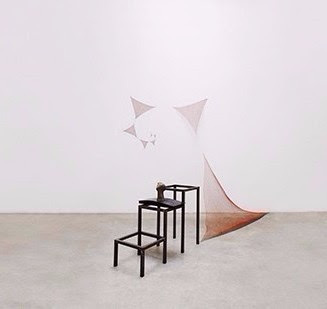 The works occupy a space between sculpture and drawing, using styrene cards to create what, from some viewpoints, seem to be two-dimensional fields, but from other viewpoints seem to be three-dimensional fields. Curated by writer Glenn O’Brien, this exhibition presents a survey of Jan Frank’s works produced over the past twenty-five years. Whether Frank works on plywood or canvas, in ink, oil, or acrylic, by projection, silkscreen, or through tracing the lines of a live model, the true foundation of the artist’s medium is the history of art. Born in Amsterdam, Frank’s Dutch heritage and roots in abstract art are evident throughout his prolific oeuvre. While Frank’s gestures may formally recall an expressionist aesthetic, his nuanced process depends heavily on the tenets of postmodern thought, embracing strategies of appropriation, citation, trace, and erasure. Kenneth Noland: Into the Cool is an exhibition of never before exhibited works from the end of the groundbreaking artist’s life. These paintings, completed in a subtle color palette, present a new approach to both material and technique. An extension of his earlier work, the artist’s last series shows him having achieved a mastery of his medium. The exhibition includes 14 of the 18 acrylic paintings on canvas in Noland’s series Into the Cool, made in 2006 and 2007. 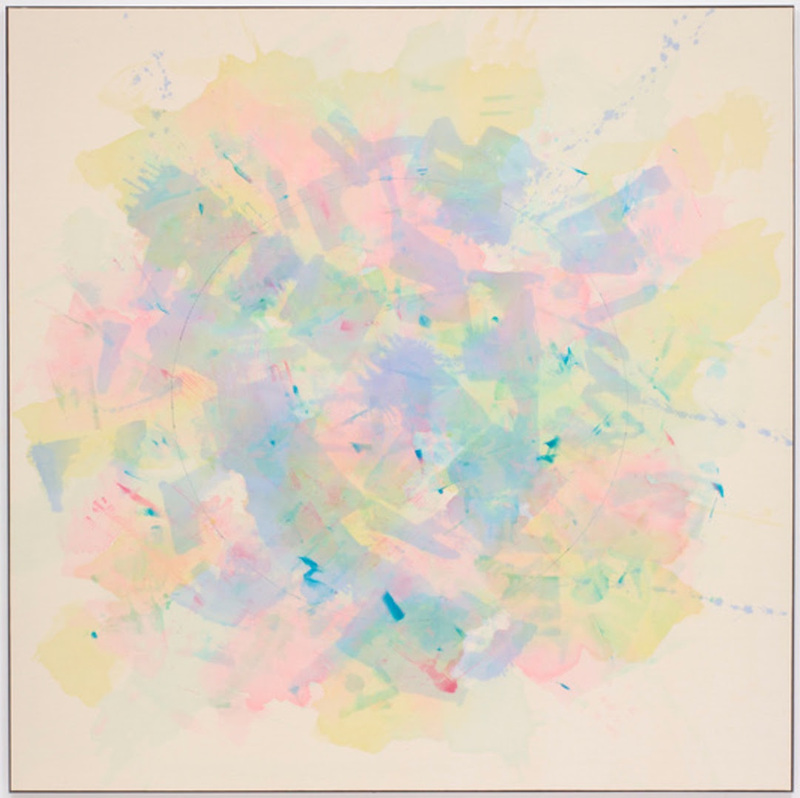 Together these works reveal the emotional effects and expressive potential of color and form, while outlining the artist’s commitment to the possibilities of abstraction.